Chee Cheong Fun or steamed rice rolls has become somewhat of a staple in an everyday Malaysian diet. While the dish is normally consumed plainly along with Yong Tau Foo (vegetables and tofu stuffed with fish paste) in local hawker outlets, these steamed rice rolls can also be dressed up with a variety of ingredients to emerge as a trendy, tasty treat. 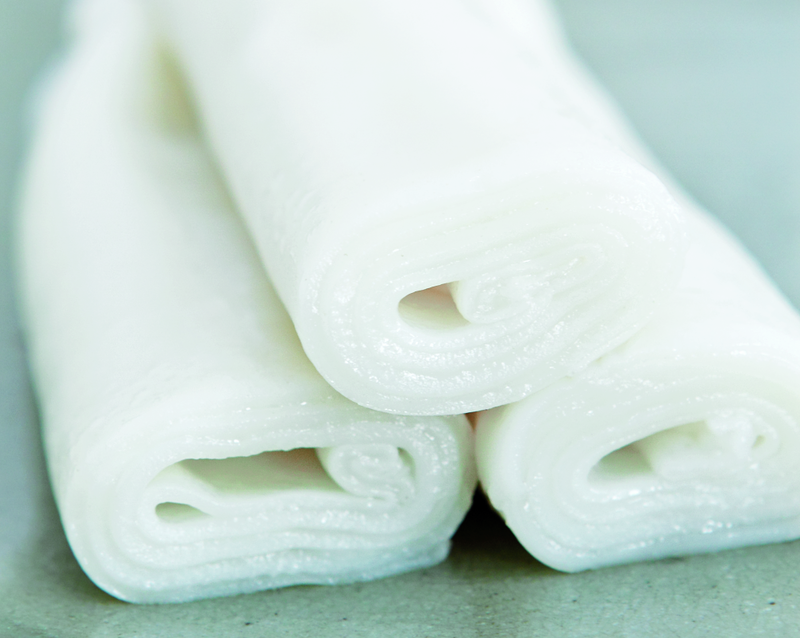 But first, here’s a recipe to master the basics of making steamed rice rolls. Combine flour mixture in a mixing bowl and stir with a whisk. Slowly whisk in water to form a smooth batter. Cover bowl with cling film or kitchen towel and set aside for 30 minutes. Bring water to boil in a steamer. Line a 23x28cm rectangular, or 25cm round, shallow, (preferably) perforated baking tray with a wet cotton cloth slightly larger than the tray. Preheat in steamer for 2 minutes. Stir batter well. Pour a ladle of batter (about 1/4 cup) onto preheated pan; swirl batter around to coat evenly. Cover steamer and cook for 5 minutes until rice sheet bubbles and is translucent. Remove cloth and invert onto an oiled tray. Stand for 1 minute. Loosen the edge of the rice sheet with a dough scraper and roll up. Place rice roll on a serving dish. Repeat the process with the remaining batter. Rinse the cloth each time before making the next batch. Cut the rolls into segments just before serving.